The smell of this Cheese-Studded Meatloaf draws everyone into the kitchen. I rarely make meatloaf but when I do this is the only one! 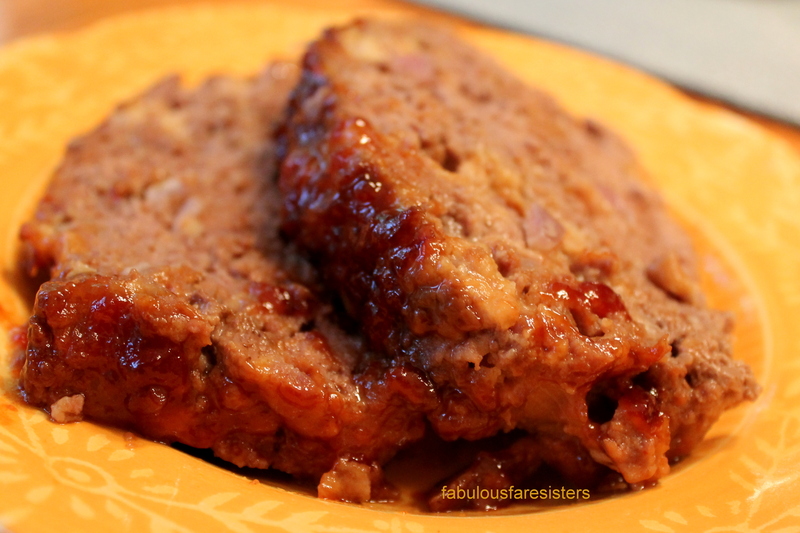 The topping is tangy-sweet and this meatloaf is great served with mashed potatoes or makes delicious lunchtime meatloaf sandwiches. ENJOY! Preheat oven to 350 degrees. In large bowl combine the breadcrumbs, eggs, milk, salt, pepper, ground beef, onion and shredded cheese. Press into a 9×5″ loaf pan. Combine the brown sugar, ketchup and mustard. Spread over meat in loaf pan. Bake in oven for one hour twenty minutes. Remove from oven and cool five minutes. Remove from loaf pan and slice. Serves 4-6. Mmm that does look delicious!